Rebecca was born and raised in Miami and attended the University of Miami, where she earned an undergraduate degree in Business Administration. After graduating, she attended the University of Miami Law School, earning a Juris Doctorate. Today, she is a practicing real-estate attorney, specializing in landlord/tenant issues, and the mother of two. Daughter Kristen recently graduated from the College of William and Mary in Williamsburg, Virginia. Son Stephen is in his junior year at Southern Methodist University in Dallas, Texas. Although Rebecca has volunteered her support to many charitable causes, the cultural arts have always had a special place in her heart. She enjoyed opera from an early age, but it wasn’t until a high school friend invited her to join the Junior Opera Guild ( JOG) that she developed a true passion. A community service organization for high school girls, JOG was created by the Young Patronesses of the Opera for the purpose of stimulating knowledge and appreciation of opera. Rebecca attended her first JOG meeting at the home of Roberta Rymer Balfe, where she, along with friends, enjoyed tea while listening to opera on the stereo. 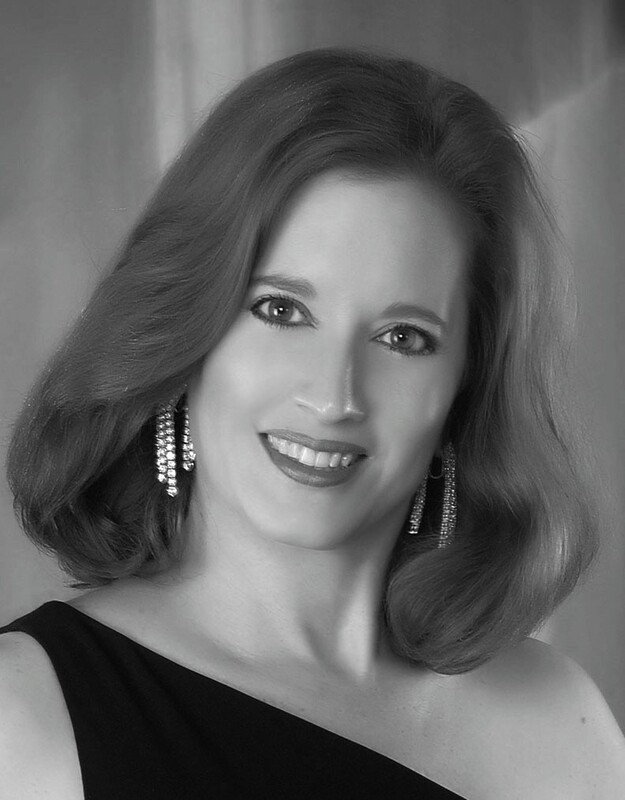 Rebecca is currently the president of the Young Patronesses of the Opera (YPO) and a member of the Board of Directors for the Florida Grand Opera. She joined YPO in 2003, and the following year volunteered as a Gala Chairman. She has also been chairman of the Provisionals, chairman of Opera Previews and co-chairman of the YPO Cookbook Committee. In 1987, Rebecca became a member of the Board of the Vizcayans, serving for six years, two as the co-chairman of La Lega de Vizcayani, raising funds for the museum and gardens. As Chairman of La Lega, she began the annual Halloween party, which continues today as one of the major annual fundraisers for Vizcaya. In 1988, she became a member of Beaux Arts of the Lowe Art Museum at the University of Miami, and was on the Board for more than eight years, chairing numerous committees, including Constitution and By-laws, Holiday Tables, Special Projects, and Underwriting. She chaired the Gala in 1988, and was president in 2001-02. Additionally, she has been honored by the March of Dimes as a “Leading Lady”, the American Cancer Society as one of the “10 Best Dressed” and has received the “Gold Star” for her achievements in YPO. Rebecca enjoys traveling but loves to spend time with her children and dogs, Sammy and Skipper–a three-legged rescue dog she adopted. She has a special interest in animals and is a supporter of the Humane Society of Greater Miami, facilitating adoptions and supporting Pawpurrazzi, their major fundraiser.